You can read - and listen to - the same novel in Japanese and English! Wouldn't it be wonderful if you could actually hear translated works of literature, stories, and speeches being recited? Well, we've discovered a very nice list on the internet, just the thing to grant your audio-desiring wishes! 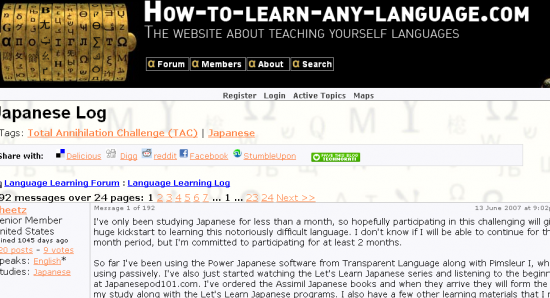 It's a LIST OF FREE JAPANESE AUDIOBOOKS W/ TRANSCRIPTS, which can be found on the website How to learn any language.com, and is the result of some painstaking work by sheetz, a member of the site's language-learning forum. Sheetz, what can we say? Thank you so much!! The list is arranged like this. Items on the list are accompanied by links marked 'Transcript' (Japanese-only) or 'Parallel Text'(includes both a Japanese version and an English version of the text), which link to sites such as Aozora Bunko ( Introduction article). Those marked 'Audio' appear to link to various sites that include free spoken-word versions of the text. There seem to be a few broken links amongst the list. A list of links with web addresses is provided at the end of the list. You can use these in a number of ways. For example, you might try listening to the spoken word version first, then look at the text afterwards to check how much you understood, or you just simply open the text first and practise reading while you listen to the audio. You might even try listening to the audio as a kind of lullaby before you sleep! Re:You can read - and listen to - the same novel in Japanese and English!